BEA Lasers, a manufacturer of rugged laser modules and assemblies, has announced the availability of its newly designed GPL line of lasers for use in light industrial applications. The GPL series laser diode module system is best suited for general purpose, medium-duty applications. The GPL series laser diode module system is best suited for general purpose, medium-duty applications. Intended for education, light assembly, simple alignment, positioning and levelling jobs, the system includes a 1/2” OD NPT threaded housing with mounting hardware and plug-in USB type power supply. Its cable length is 36” and available patterns include green or red dot, or green or red line, with a nominal focal length of 17”. This module may be powered by the USB port on any computer as an option. The housing is CRS and plated with a clear zinc oxide. This product is not intended for wet, high vibration or harsh environment applications. BEA lasers are used with construction tools and equipment; automobile seats, door panels and tires; robotics; machine tools; garment alignment and in many other industries, including food and beverage. General laser applications include alignment, positioning, levelling, drilling, event detection, edge detection, security, cutting, vision systems, metrology, bar code readers, education, robotic control and laboratory or test operations. For more information on BEA Lasers, please visit: http://www.bealasers.com or call 1-800-783-2321. Free samples of the GPL Series laser diode modules are available to editors upon request. Please contact Greg Thompson at (847) 238-1420. Since 1980, BEA Lasers has provided innovative laser module solutions to industry and research, leveraging the staff’s expert knowledge of photonics and electro-optic components. Many BEA Laser products conform to and surpass the standards of CE and FDA. 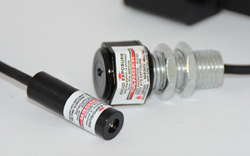 BEA Lasers offers a full line of standard ruggedized laser diode modules with green and red lasers for varying applications and customer requirements. These applications are typically for alignment and leveling functions in customer operations or production. BEA Lasers also provides customization of laser modules. BEA Laser Application Engineers and Sales Associates work with customers to deliver a solution that meets or exceeds their requirements. BEA Lasers is committed to providing high quality laser diode modules at a reasonable cost. Free samples are available to editors for product review. Contact Greg Thompson at 847-238-1420 or gregt(at)bea-eo.com.